Spotlight the bold sound of your horn or the soft strumming of your guitar with the Shure SM57 instrument microphone on stage. Offering a clean and right sound with a contoured frequency response, this instrument microphone is perfect for recording sessions or live performances to highlight the clear vibrations of percussion instruments, woodwinds or guitars. This durable instrument microphone cuts down on handling noise with the built-in pneumatic shock-mount system while isolating your main instrument sound or vocals without the interference of background noise. 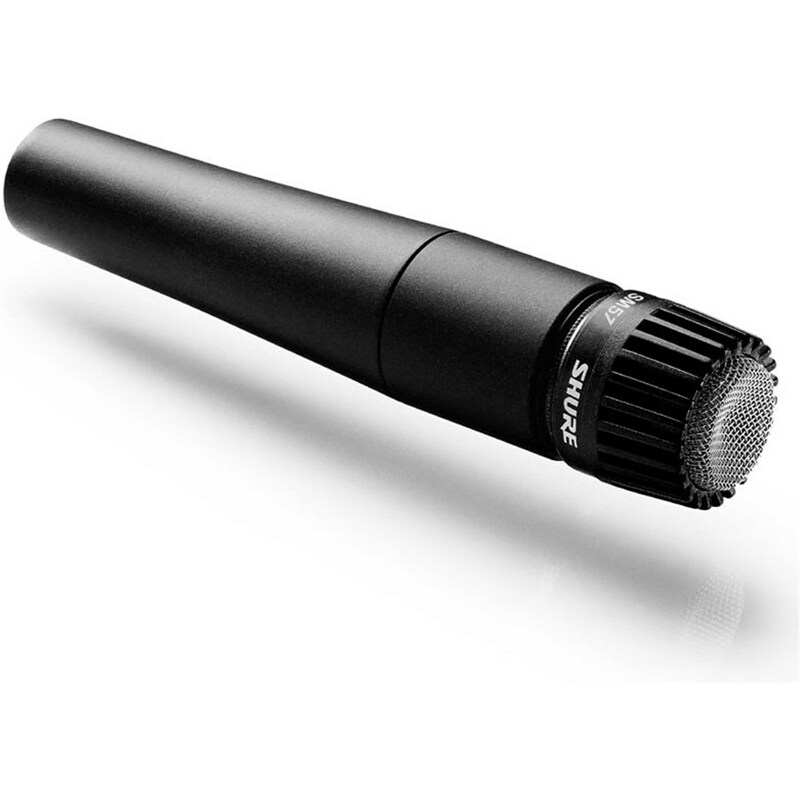 With professional-quality reproduction and rich vocal pickup, this durable microphone is a must-have for your performance or recording gear.